A lot of us love the water here in Florida. But sadly, the state loses more kids under age five to drowning than anywhere else in the country. 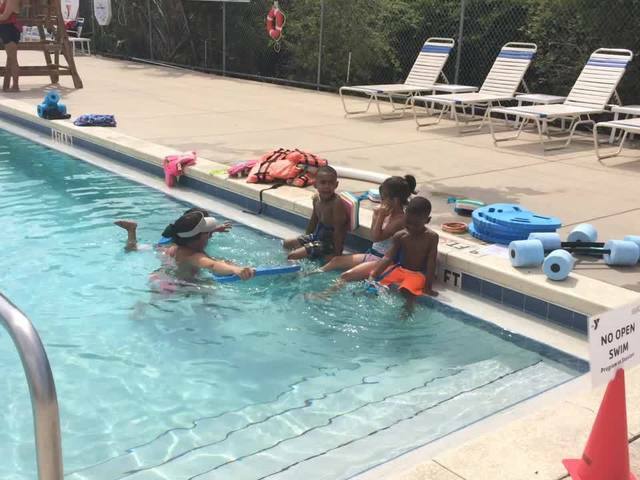 That's why Hillsborough County is expanding efforts aimed at teaching at-risk youth how to swim. On a hot day, the pool is the place to be! 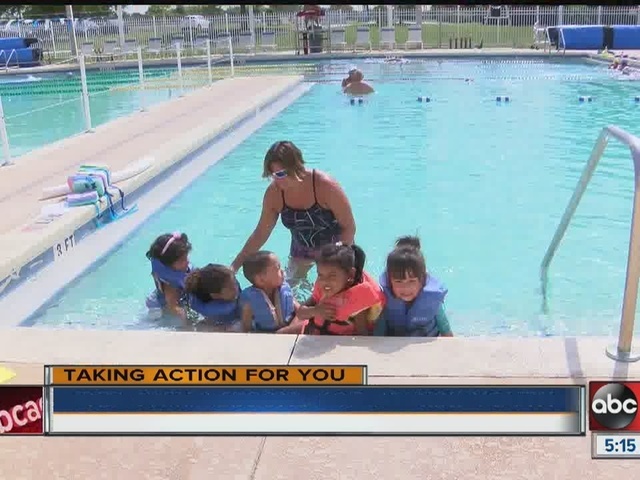 Each week, groups of kids are all learning the basics of how to swim at local pools thanks to a swimmer safety program paid for by Hillsborough County and supported through community partnerships including the cities of Tampa and Temple Terrace, the YMCA and Brandon Sports and Aquatic Center. "We say the world's made up of 70 percent water, and kids are 100 percent curious, so we definitely need to make sure they have the knowledge and understanding," said Katryna Morrall, Northwest YMCA aquatics director. Fern Dorsey learned the value of swim lessons the hard way. Two years ago this week, she lost her 5-year-old grandson, Ethan. While at a friend's house, he went into the pool and never came back up. "Just a few seconds, and he was gone," Dorsey said. With help from friends, Ethan's school principal and County Commissioner Ken Hagan, the county adopted the swimming safety program. "We approve programs and initiatives all the time that improve our community's quality of life, but simply put -- this program will save lives," said Hagan. It started last year with 1,000 Head Start kids and has now expanded into public schools with 500 more little ones getting free swim lessons. For Dorsey, it's turning tragedy into a blessing. "I thank God because of him. He didn't die in vain. He died, but knowing that someone else could benefit for what happened to him, makes me feel really good," Dorsey said. For the kids, there's definitely fear, and some tears at first. But after eight swim sessions and classroom safety training, it's a total transformation. "It's so rewarding on the last day to see how comfortable they are, that those fears are diminished and that they have the knowledge to be safe in and around the water," Morrall said.